Let’s get small! Learn the basics of letterpress printing while working with the classic form of seventeen syllable poems. Bring your own haiku or choose from those provided. 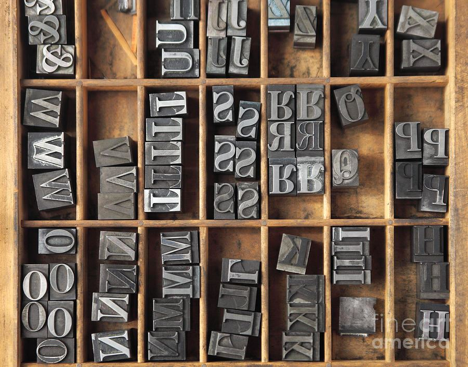 You will learn the language, tools, and materials of letterpress along the way. Set the type and print enough copies to exchange with others. Nic Marshall is the real deal...a printer's printer. We have the great good fortune of having him on the Book Arts/Letterpress Steering Committee as our Letterpress advisor. Nic owns his own letterpress business, Marshall Printing, and also prints at his shop on the east side. He knows the ins and outs of letterpress printing from many years of practice...come learn from a master! Please Note: There is a $10 materials fee. Please feel free to bring a bag lunch. BARN has a refrigerator you can store your lunch in.